Halloween is arriving soon! Do you have any plan for this festival? We’ve prepared an enormous Halloween gift for our readers, come here to check out what we’ve got for you! Wonderfox’s first Giveaway surprise: Wonderfox DVD Ripper Pro. There is no question that people would always get disappointed by the “no copy” or “copy-protected” technology within the DVDs, if they ever attempted to copy the contents from their huge collection of the DVDs, Now, Wonderfox DVD Ripper Pro can cope with this issue easily. Wonderfox DVD Ripper Pro is equipped with the most advanced decrypt and conversion technology to satisfy all your needs on ripping your DVDs to almost all the popular formats. 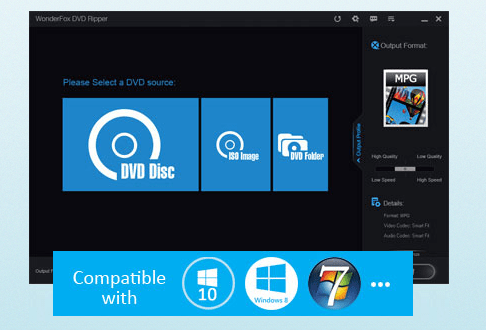 Using the leading decoder, DVD Ripper Pro enables you to rip any of your DVDs to almost all the popular formats without quality loss, such as MP4, AVI, MKV, MPG, WMV, MOV, M4V, MTS, TS and etc. Addtionally, it can also rip DVDs to MP3, AC3, AAC, FLAC, ALAC, DTS and etc. And since there are more and more people watching videos on the portable devices, Wonderfox DVD Ripper Pro can be used to rip DVDs to numerous devices, including iPad, iPhone, Android Tablet, Sony cell phone, Samsung cell phone, HTC cell phone, Kindle Fire, Wii, Surface and etc. To enable you to watch videos anytime, anywhere. 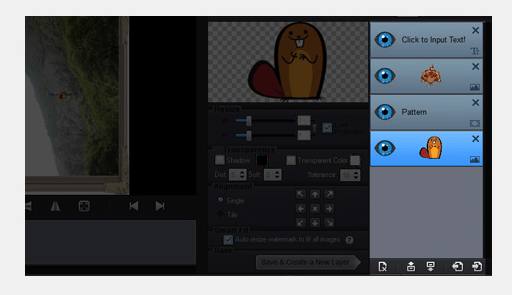 Wondering if you can create your videos more personal with Wonderfox DVD Ripper Pro? The reply is Yes. Wonderfox DVD Ripper Pro helps you design your own DVD movies wiith a built-in DVD editor, some common editing features and 12 effects. Lots of people have been worried that their uploaded photos will probably be used without their authority. Now, Photory is (also named as Watermark Software) an ideal tool for you to add watermarks on your own shared photos. Only a few clicks, Photory will supply the indelible protection for your image files. Photory has the capacity to fulfill your needs on embedding watermarks on your photos with a total amount of 150 text watermarks, image watermarks, and combined watermarks. Surprisingly, Photory can also be a timer- saver, it can add watermarks to batches of photos within One minute. 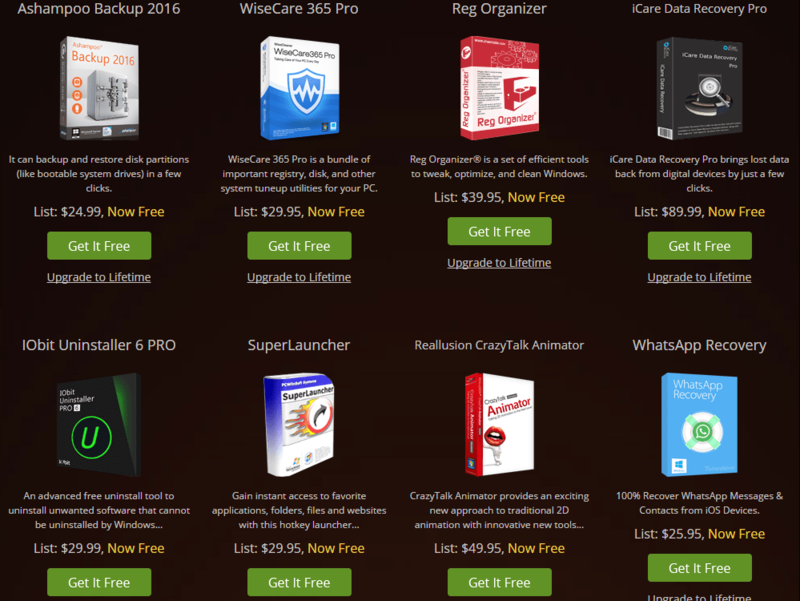 Next we’ve got 8 different software from 8 great vendors: Ashampoo Backup 2016, WiseCare 365 Pro, Reg Organizer, iCare Data Recovery Pro, IObit Uninstaller 6 Pro, SuperLauncher, Reallusion CrazyTalk Animator, WhatsApp Recovery. Here are a few brief details about these 8 products: Ashampoo Backup 2016 is made to backup entire disk partitions within a few clicks and restore your files even in the event of a complete system failure. You can preserve your date safe with it. WiseCare 365 Pro is utilized} to clean registry and junk files out of your PCs, protect your privacy and make your PCs more secure. Additionally, it offers a better option of optimizing and accelerating your computer. Reg Organizer is a set of efficient tools to tweak, optimize, and clean Windows, built to effortlessly free up system resources and rev performance to the max. iCare Data Recovery Pro is made for comprehensive loss of data, it can bring data back from simpliy deleted, file loss without reason, unreadable digital cameras/drives, formatted partition/SD card/ flash card/ removable disks/memory card etc. IObit Uninstaller 6 Pro is a larger database to detect and remove malicious, and an ad-based plug-ins to boost your surfing experience. Super Launcher will create shortcuts to any application or function with ease and style. It makes your android devices extremely handy and user-friendly. Reallusion Crazy Talk Animator offers an exciting new approach to traditional 2D animation with latest tools that allow users to apply 3D motions to 2D characters. WhatsApp Recovery is utilized to recover lost WhatsApp messages, photos and videos. 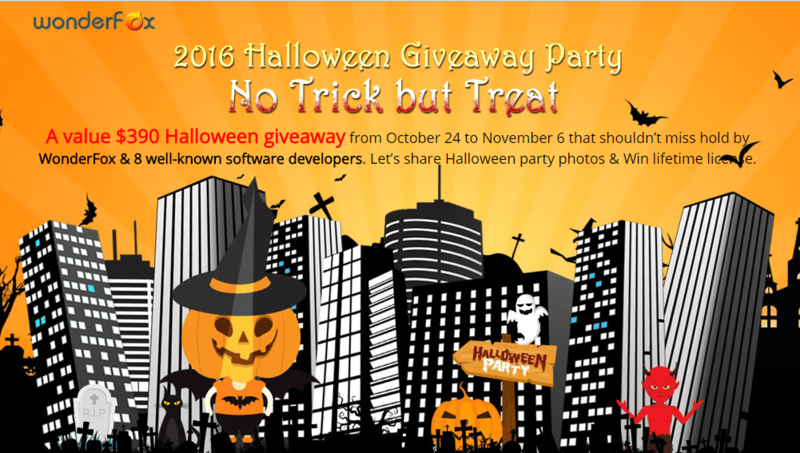 Anyone visits the Wonderfox Halloween Giveaway page before Nov 6th can get all these 10 products for free!